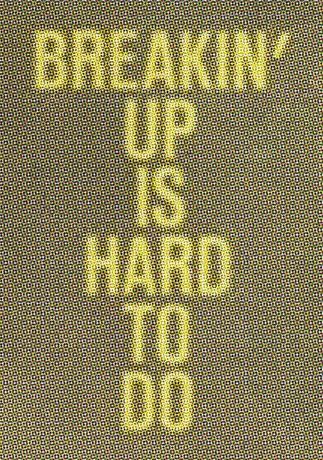 Breakin’ Up is Hard to Do is a group exhibition of new and existing works that dramatize the liveliness of materials. Through a particular focus on painting and sculpture, the work in the exhibition often uses abstraction as a vehicle for narrative, suggesting instability and flux. Work shifts between digital and analogue processes, with materials indexing social and physical temporalities. The exhibition has been assembled 100 years after Kazimir Malevich’s famous love letter to abstraction, Black Square (1915). The painting’s previously pristine surface is now covered in a filigree of tiny cracks; it is literally and metaphorically breaking up. Under the monochromatic black surface, a previously unseen figurative image is slowly emerging. This transparency reveals a persistent tension between the object and its image, between the cosmetic and immanent. 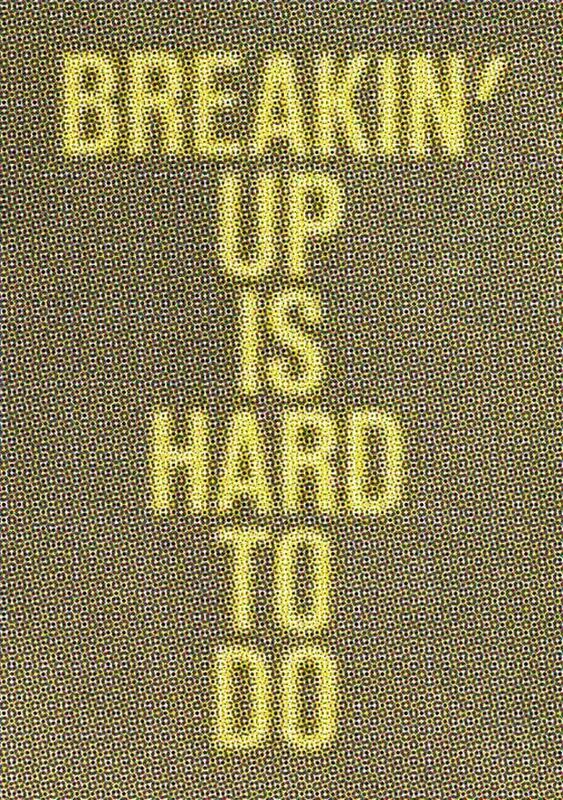 To paraphrase Neil Sedaka’s 1962 doo-wop smash hit; is breaking up really that hard to do? The exhibition was initiated by Lucy MacDonald and George Vasey and has been co-curated with Ned McConnell. It will travel to the Northern Gallery for Contemporary Art in Sunderland in Autumn 2015.